We Remember You! October 15th marks Pregnancy & Infant Loss Remembrance Day, a day where we remember those of you who have lost your child (children) in pregnancy or as an infant. Not only is it a day to stop and reflect, but also a day for us here at Dancing Upon Barren Land Ministry to pray for you. My dear friend and side-kick, April Jones, Christian infertility support group leader at The Ark Church in Conroe, Texas recently wrote about this day and I wanted to share it with you. April is not a foreigner to loss, as she has suffered two miscarriages herself, yet she has a tenacious faith and tender heart towards those who’ve experienced loss and infertility. My heart goes out to you, dear loved one. You are not forgotten. We are praying for you and for the Holy Spirit’s comfort to be yours. October is National Pregnancy and Infant Loss Month. We know many women have experienced loss on this journey. We want to stand beside you and acknowledge your loss and let you know that we are here for you. Your loss is very real no matter the number of days your pregnancy lasted you need to allow yourself to grieve. 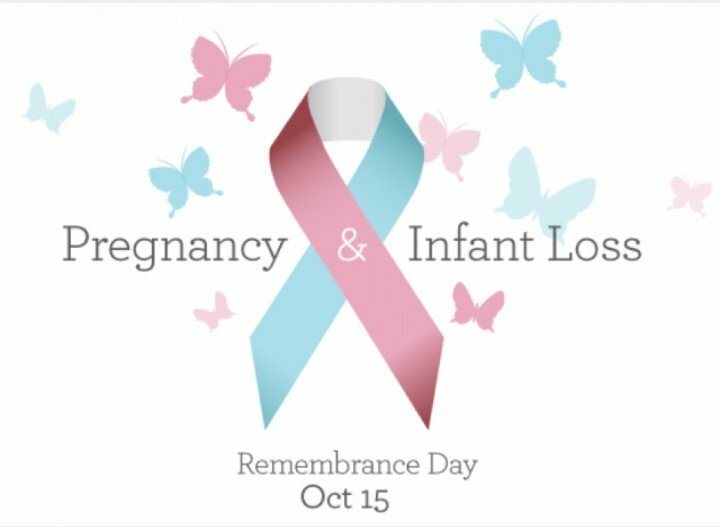 October 15th at 7pm is declared Pregnancy and Infant Loss Remembrance Day. This day is dedicated to the remembrance of pregnancy loss and infant death, which includes but is not limited to miscarriage, stillbirth, SIDS, or the death of a newborn. It is observed annually in the United States, Canada, the United Kingdom, portions of Australia, and Italy with remembrance ceremonies and candle-lighting vigils, concluding with the International Wave of Light, a worldwide lighting of candles at 7:00 p.m.
We want to encourage you there is HOPE and you’re not on this journey alone. In the midst of loss our heart can ache for those children we still dream for. God has a plan for your family (Jer 29:11) and he has put the desire in your heart for the children you will have. Whether they come through our wombs or the front door (adoption) God knows and is working behind the scenes on your behalf right now. Psalms 127: 3-5 says children are a heritage from the Lord, offspring a reward from him. Like arrows in the hands of a warrior are children born in one’s youth. Blessed is the man whose quiver is full of them. God knows just how big your quiver should be. If you are on this journey or know someone on the journey I want to invite you to join a monthly support group for women just like you. Check out our Support Group Page for a Christian Infertility Support Group near you. Here’s a listing of a few resources that might be helpful to you. We encourage you to pray this prayer over you or someone you know who has experienced loss – the Miscarriage, Stillbirth and Early Infant Loss Prayer. We are standing with you during this season of remembrance and praying for you. Hope On!